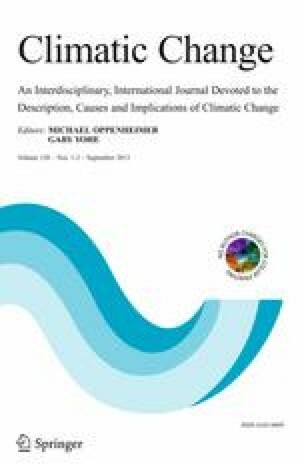 Climate change impacts on the regional hydrological cycle are compared for model projections following an ambitious emissions-reduction scenario (E1) and a medium-high emissions scenario with no mitigation policy (A1B). The E1 scenario is designed to limit global annual mean warming to 2 °C or less above pre-industrial levels. A multi-model ensemble consisting of ten coupled atmosphere–ocean general circulation models is analyzed, which includes five Earth System Models containing interactive carbon cycles. The aim of the study is to assess the changes that could be mitigated under the E1 scenario and to identify regions where even small climate change may lead to strong changes in precipitation, cloud cover and evapotranspiration. In these regions the hydrological cycle is considered particularly vulnerable to climate change, highlighting the need for adaptation measures even if strong mitigation of climate change would be achieved. In the A1B projections, there are significant drying trends in sub-tropical regions, precipitation increases in high latitudes and some monsoon regions, as well as changes in cloudiness and evapotranspiration. These signals are reduced in E1 scenario projections. However, even under the E1 scenario, significant precipitation decrease in the subtropics and increase in high latitudes are projected. Particularly the Amazon region shows strong drying tendencies in some models, most probably related to vegetation interaction. Where climate change is relatively small, the E1 scenario tends to keep the average magnitude of potential changes at a level comparable to current intra-seasonal to inter-annual variability at that location. Such regions are mainly located in the mid-latitudes. The online version of this article (doi: 10.1007/s10584-013-0829-x) contains supplementary material, which is available to authorized users. An erratum to this article is available at http://dx.doi.org/10.1007/s10584-013-0877-2. The ENSEMBLES model outputs used in this work were produced with the partial funding of the EU FP6 Integrated Project ENSEMBLES (Contract number 505539), whose support is gratefully acknowledged. MGS and TCJ were also supported by the Joint DECC/Defra Met Office Hadley Centre Climate Programme (GA01101).